My dear blogging friend Annie nominated me for a Blogger Recognition Award. The only problem I have is all the people she nominated I would nominate myself except she would be on my list. I am grateful for the award. I love spreading the news and for people to enjoy reading. I don’t see people with books anymore and I think reading is very important. It is great to get lost in a story. I am trying to get that great story telling going on my blog. I hope you all come back and read. The showing off of my award!!! Yeah!! What a great award! I shall print it off and display it on my wall. I actually do love doing that. My kids hate it. I think that is why I love doing it. As a parent, we have to follow the golden rule. And if you aren’t a parent I will let you in on our secret. Our golden rule of parenting is…..embarrass your children every chance you get. It actually keeps them in line. They tend to not do anything wrong because they are always trying to hide you from other people. It becomes their job. I started my blog to not be a blog. It was an online place to keep my writings private until I had them finished. I keep having issues with computers and I end up losing everything I worked so hard on. It was getting to me so I need a safe place to keep them. I wasn’t going to have an open blog until I took my first class with word press and then I had to open it up. I need to work on what was going on in Blogging 201. So that is how the story crumbles. I am really working on my book at this site. I just have a ton of chapters either private or in draft mode. I am working on it none the less. I am still taking blogging courses with word press as well. Why? To write of course. I love to write as much as I love to read. It is a long lost art in today’s world. As for nominating people, I have nominated people in the past and I wish to renominate them here. First is the Premio Dardos Awards list. These bloggers will get you reading like no other. There are 15 great blogs here! Second list is the Liebster Award. These bloggers will pull at your heart strings. Read their adventures with tissues. There are 15 amazing blogs here. That makes 30 blogs I nominate for the award. Plus Annie! 31 is good. I wish to nominate all of them! I hate choosing! Don’t forget to read Annie’s Blog What the Woman Wrote. In the mean time if you search my blog, you will see who reads my blog and who I follow. One is at the side and the other is at the bottom. 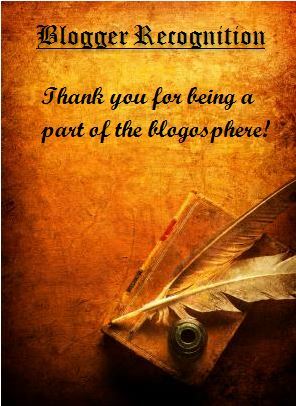 Great bloggers! Go visit them! There are too many to really mention!